Shopping with us at The ZON Duty Free comes with retail therapy, a favourite of many! 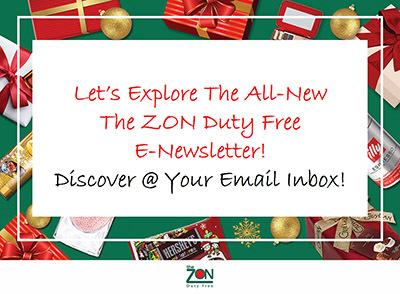 Our team at The ZON Duty Free continues to seek the newest gift ideas - for loved ones and friends or even for you. We have expanded our range of world renowned duty free liquor, tobacco and a vast array of international brands of chocolates, perfume and cosmetics. 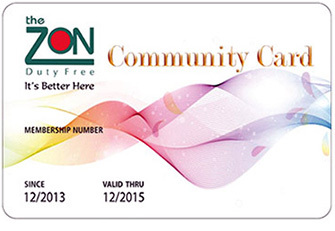 Another highlight is The ZON Community Loyalty Program. Just use your ZON Community Card to enjoy the exclusive member's discounts, rewards and benefits. If you are not a ZON Community member yet, be a member today with a minimum purchase of RM200. Get the card... enjoy the delights of discounts and many other benefits and rewards right away! Now that's convenience. It's just one of our ways to make your shopping experience special with us. Copyright © 2008-2018 DFZ Capital Bhd. All rights reserved.